Mother Nature played a prank when the folks at Bhut Peppers came up with the Vertigo Cube. It combines five of the world's most painfully spicy peppers into an irresistibly good candy. This one is going to make your tongue unsure of whether it's coming or going. 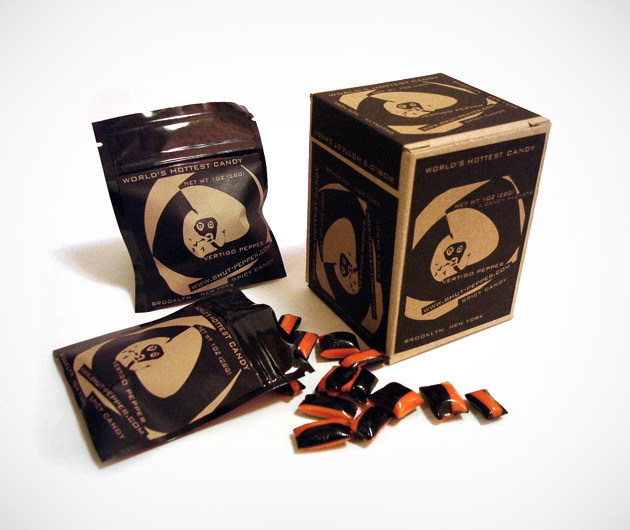 The Vertigo Cube is a box of sweet and spicy treats that are so good that you'll have to sweat them out.